Yes, Gift Guides Are Back. For Apt. 11D newbies, every holiday season, I throw together a few gift guides. Most of the links take you over to Amazon, which gives me a small cut of whatever you buy. I also get a cut of any purchase that you make (not necessarily my recommendations), as long as you get there via a link on my blog. With those profits, I buy myself boots. I like boots a lot. So, if you need to get something from Amazon, use the links in this gift guides or on the sidebar. Those are the boots I’ve been looking for! What brand are they, please? I’m waiting for Steve’s history book recommendations! And the other ones of course – you do have THE best gift guides. Thanks, Sandra! Steve’s working on it. He has a lot of fun being a blogger once every 265 days. Thank you! 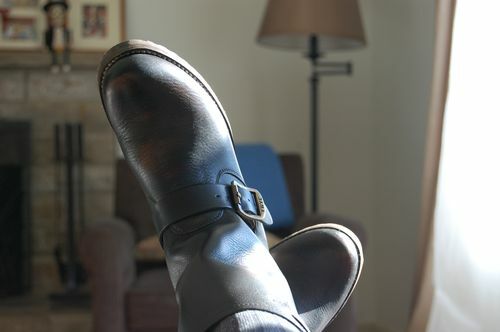 They are fantastic boots!